Why BUSYNESS Should NOT Be an Excuse to Care for Your Elderly Parent? You know how BUSYNESS looks like on daily basis, right? Don’t you just long for that day when you can just sit down with your aging mom and dad and assist them with their everyday dealings without the thoughts of deadlines or reports? Busyness is being too busy to take a pause. When you think that it’s already impossible for you to get some time off from work just to be with your elderly parents, there’s good news. Your parents still have deeper needs that only their family members can meet. Remember this. 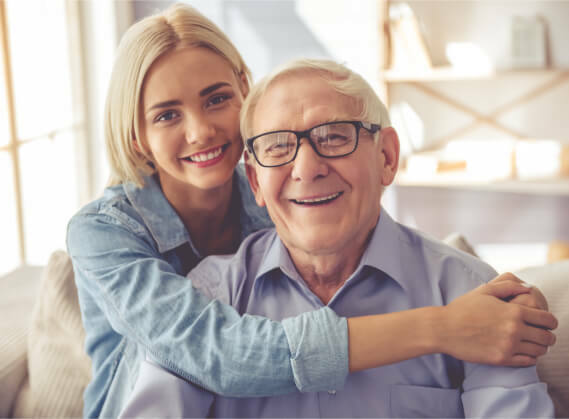 Even if your aging mom or dad is getting assistance from providers of In Home Elderly Care in Georgia, the experienced staff team is unable to fill your parent’s need of your presence as their child. Here then is your way of confirming that even while you’re busy with your endeavors, you can still show your parents how much you care for them. Contact may not mean physical presence, but being able to hear each other’s voice and talk with each other is already a clear picture of contact. Thanks to technology, regularly keeping in touch with our moms and dads even when we’re at work is now possible. Your visual presence has no substitute. Since you know your own schedule, the frequency of your personal visits will depend on you. But when personal appearances are too limited, you can always do video calls so that you can still see each other’s faces. These electronic visits can surely excite you both, knowing that your loved one is physically well as you’ve seen. Whenever you talk with your parents, always ensure them that attending senior gatherings in their community has your support. Encourage them to participate as being with other people strengthens their connections and gives them a good diversion from their present conditions. Providers of Senior Home Care Services in Georgia can even assist your parent to these events. As much as possible, when you’re with them, keep them company in their regular activities. Whether it’s doing grocery shopping or attending their favorite religious activity, your companionship can be their inspiration to keep going. You will be surprised that it can also empower you emotionally. When you’re not regularly available to assist your parents, experienced providers of Senior Care Services can help you out. With their skill and knowledge in caregiving, they will be the right people who can administer care to your aging loved ones as an extension of the care you want to provide yourself. You see, caring for your senior parents is still possible even in this age of busyness. Our team at Abundant Life Assisted Services can help you make it happen. When you need our assistance or if you’d like to learn further about our services, just contact us right away. This entry was posted in Senior Care and tagged care providers, caregiving, companionship, physical presence. Bookmark the permalink.